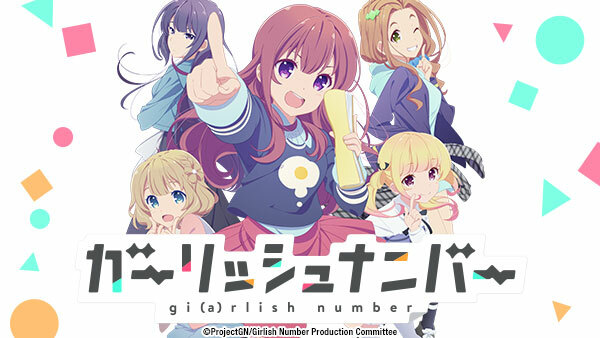 Sign up now to stream Girlish Number, subs, tons of dubs, OVA's, simulcasts, plus the all new Dubcast℠ editions and more! Chitose attends an event to promote a show she’s in, despite the fact that she only has a (very) minor voice acting role in it. Her attitude rubs a few people the wrong way. Chitose lands her first major role in an anime, but she deflates when she meets the other main voice actresses. Later, they’re forced into an impromptu kick-off event! With her lackluster voice acting, Chitose’s role is on the line. Meanwhile, behind closed doors, the creator, director, and staff argue about the direction of the show. The girls host an advanced screening of the anime’s first episode only to find out it wasn’t completed in time for the event. Is the show doomed before it even airs? The author’s sanity is in shambles, Kuzu is plotting, and Chitose is letting “fame” get to her head. However, after hosting a store event, Chitose learns something horrible. Chitose and the girls find themselves doing a swimsuit shoot in Okinawa. Later, the girls contemplate their futures in the industry and discover each other’s drunk sides! Kazuha gets a surprise visitor at an event: her mother! Worse, Kuzu manages to make Kazuha’s father angry, and the cast plans a trip to her hometown to formally apologize. Momoka tags along to visit Kazuha’s hometown and discovers why Kazuha hates voice acting. That night, the stillness of the countryside exposes Momoka to her own insecurities. A bright-eyed young actress ends up changing the natural order of Chitose’s life in a big way. Later, Kuzu faces an old rival and takes a blow to his ego. Her over-enthusiastic new manager is running Chitose ragged as they prep for a holiday event. Later, Chitose’s confidence takes a blow after an unwelcome surprise on stage. The girls notice Chitose's change in mood. In their goal to bring back their lovable idiot, they turn to the one person Chitose will listen to: Gojo. Chitose's lateness to her show's last recording session becomes an unexpected source of inspiration. Later, the girls prepare to hit the stage again.